Through his events and coaching Michael has worked with everyone from Category B Prisoners to Business Leaders; from Premiership Footballers to TV Personalities. He works with those who have the desire to set brilliance as their benchmark, who want to take massive action and are ready to make a change. We do this through keynote presentations, training, books, audio programmes and coaching. Michael is best known for his powerful keynote presentations. 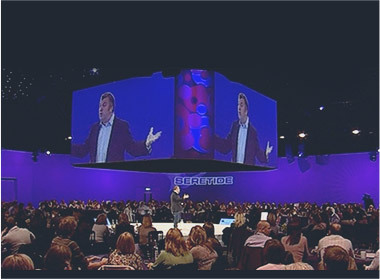 His How to Be Brilliant keynote has been seen by over 250,000 people and is the perfect way to give an audience some oomph. His Five Star Service presentation is a must for anyone who wants to inspire an audience to raise their level of service. Michael is no ordinary Success Coach. He works with only a handful of people each year giving them the personal attention they need to get from where they are now to where they want to be rapidly and effectively. Michael is the International Best Selling author of How To Be Brilliant, 5 Star Service, Brilliant Life, Flip It, How To Save An Hour Every Day and The Edge. His books have been translated into 27 languages and are available in over 80 countries around the world. Flip It was a Sunday Times No. 1 best seller. You can order Michael’s books on our website, Amazon and all good book stores. Since 1995 Michael has worked with organisations around the world. You can view our full list of clients and find out what these businesses and others thought of working with Michael, by visiting our clients page. The tools and techniques Michael teaches through his books, events and coaching are used on a daily basis by thousands of people. Would you like to be coached by Michael FREE for the next 90 days?